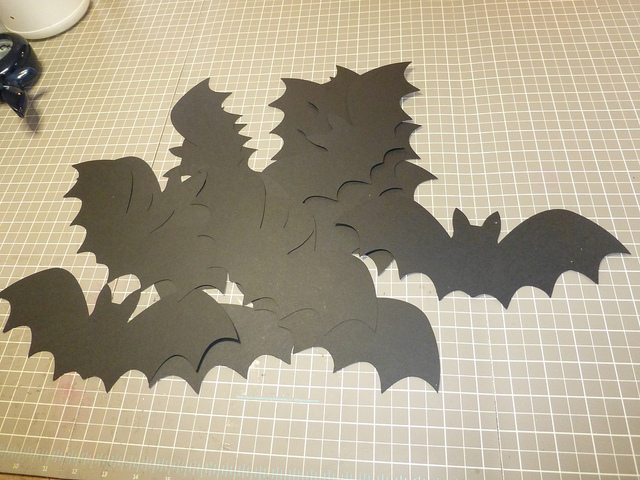 The Gentleman Crafter: Bat Crazy! 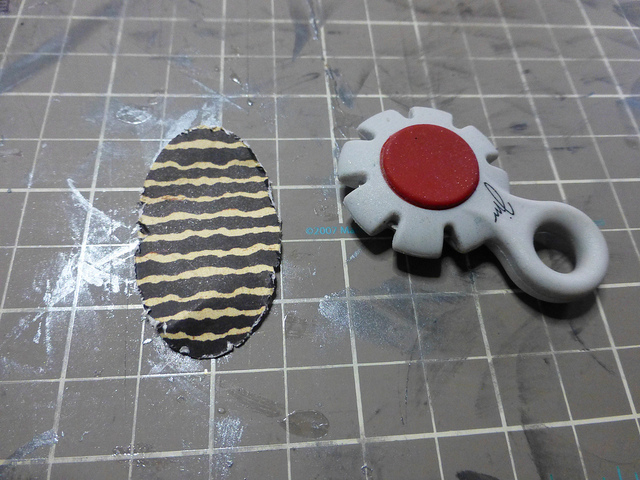 Next I punched out 2-inch ovals from cardstock (I used Graphic 45's Happy Haunting Collection) and distressed the edges with the distress tool. Next, I hot glued the distressed ovals to the center of the bat. 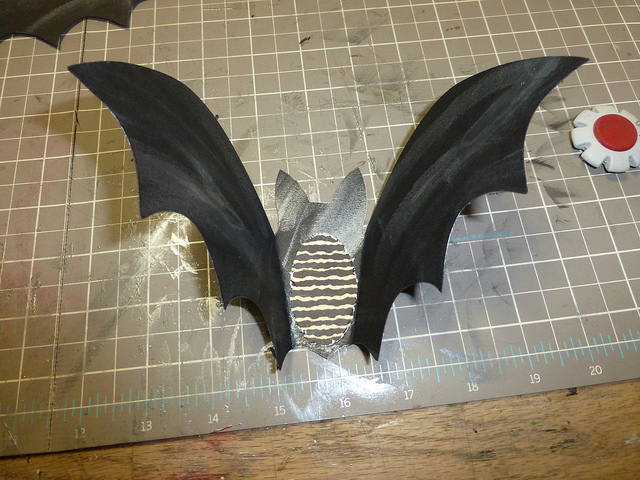 Last, I folded the ears inward and then folded the wings up. I placed blue painters tape to the back and "batified" my walls! 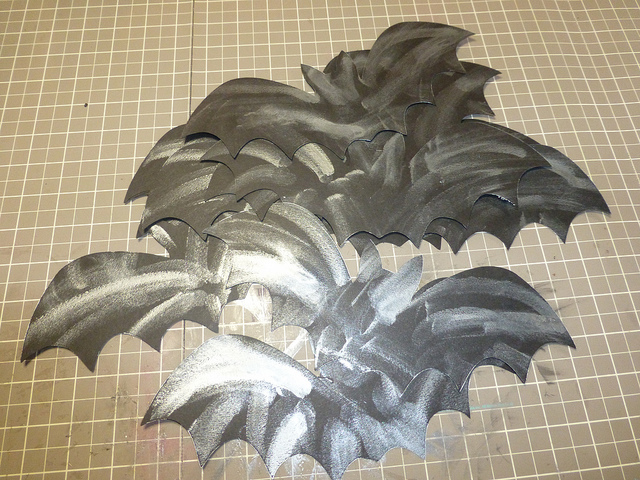 Here's are the bats...a good start I think! I like these...they didn't give me the creepies like your gross, enormous, huge spider on the ceiling and the sqwished scorpion. P.S. 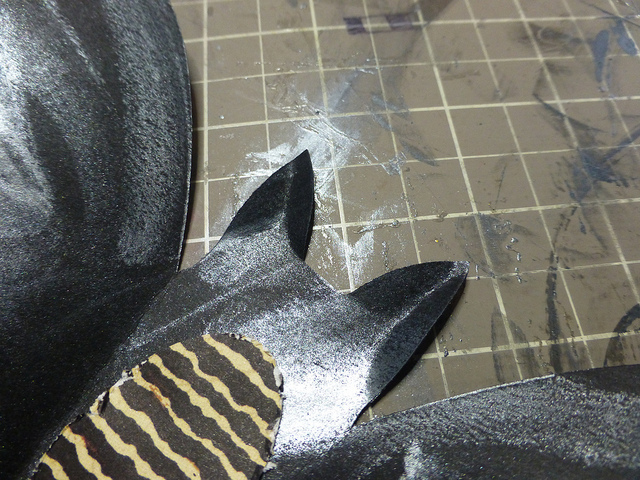 Did you know that Duck tape makes an aluminum (spelling??) 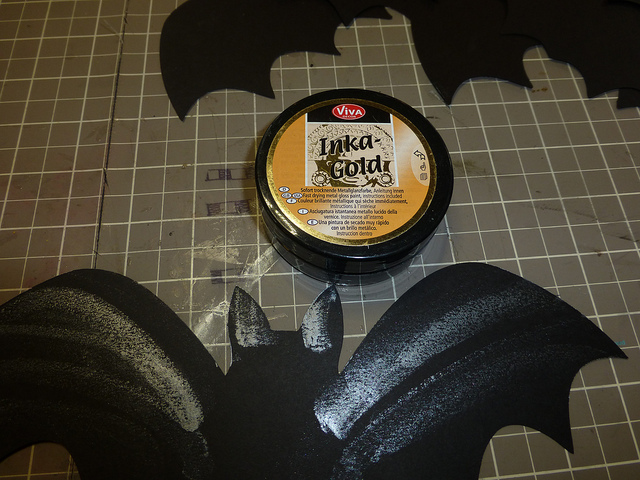 tape that works wonderful on the steampunk punkins? Got a roll of it at the local hardwqare store and it's alot cheaper than the TH sheets....just sayin'. 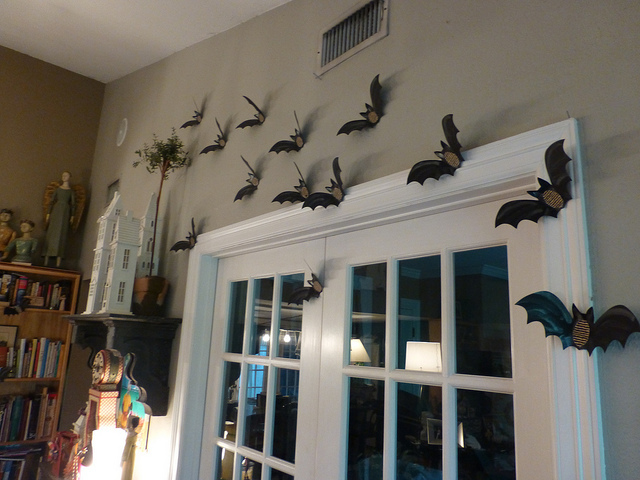 The bats look really fun! Hey Bat-man...looking cool. Now that gives a new meaning to "bats in the belfry"...LOL!!! That looks so good! Fun stuff! Love them!! They are spook-ta-cular! I think it is a great start, they will be details that make all the difference. "Don't think about it. Just do it." mmm??? Where have I heard that before? Oh yes, many times today, as I am spending my weekend with Dyan Reaveley in Kansas City! 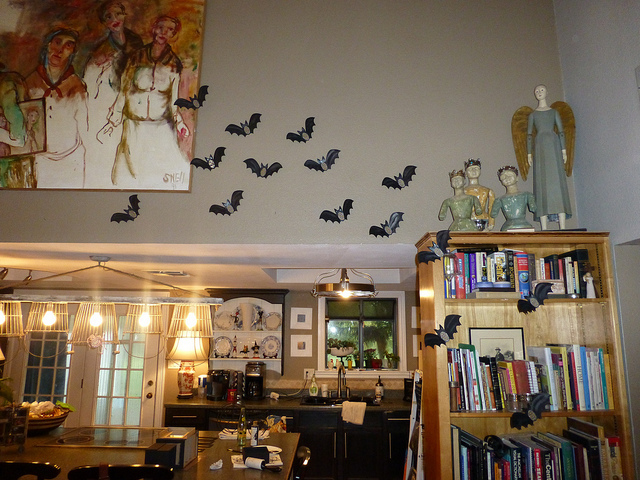 Jim, your house is absolutely beautiful, but you need to get a net for all those gorgeous bats flying around! Seriously, very creative decorating idea! I love your bats! 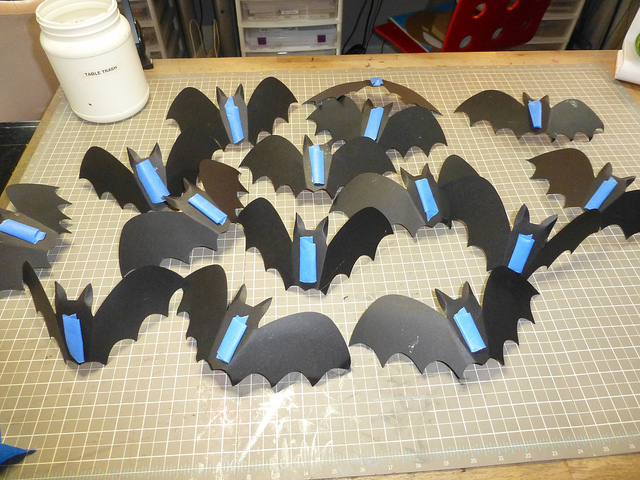 My husband says I must be a bat as I am nocturnal and do most of my crafting at night! Your home looks lovely - thanks for showing us.